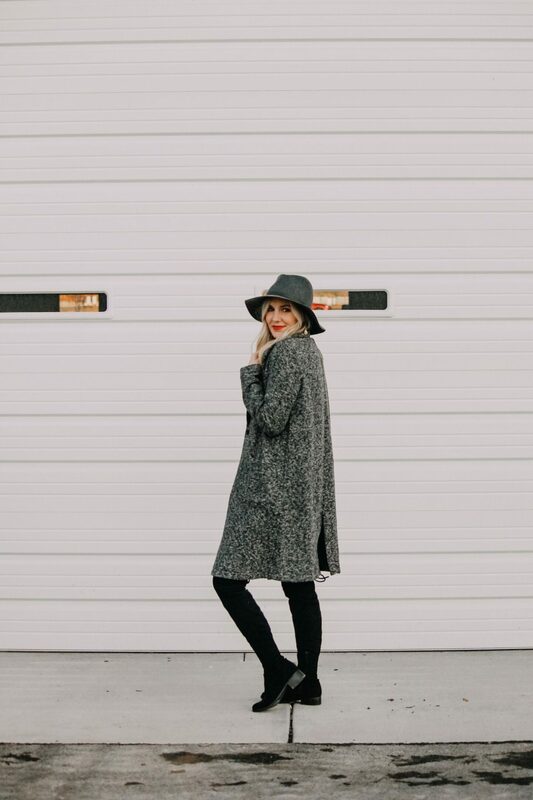 I’m a huge fan of over the knee boots (they help my short legs appear long and lean), and I love oversized coats for those chillier days in fall and winter. lately I’ve been wearing neutrals and darker colors and I honestly don’t know why??? I’m typically ALL about color and mixing bold prints together – but I have really toned down my color palettes and I’m not sure if I’m in love with it. I’m thinking I need to go on a ‘fun color’ clothing shopping spree VERY soon! 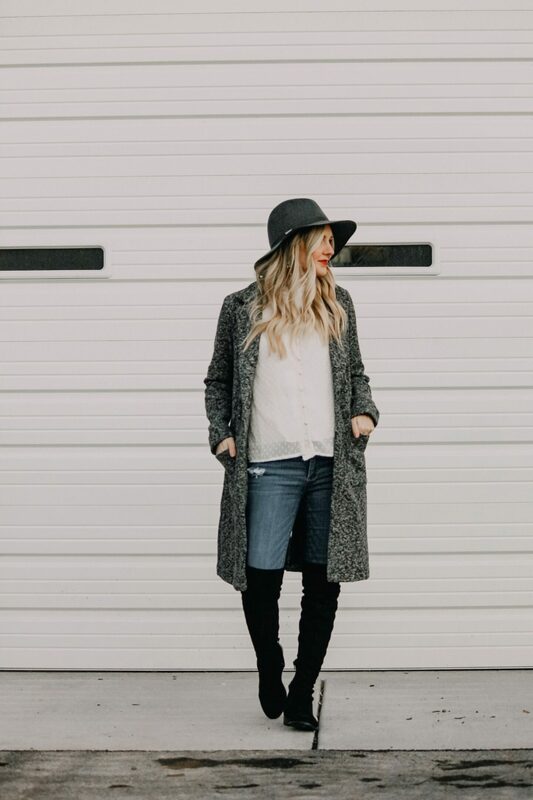 my look today reminds me of mens’ looks from years ago … I love the white collared shirt with the textured coat all topped off with a hat. 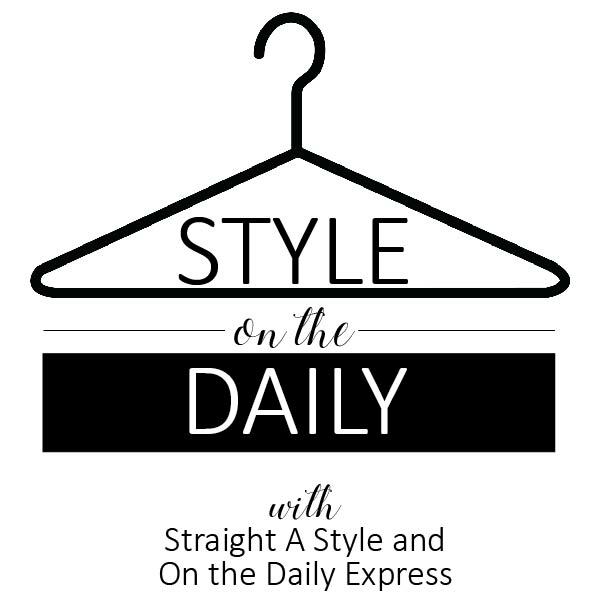 it’s fun to see how clothes and accessories have many phases and what becomes accepted as ‘fashion’ and which trends keep coming back year and year. 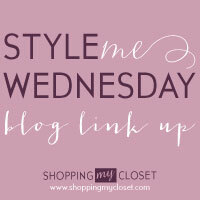 what are some fashion trends or wardrobe staples that you love to wear?? while my outfit itself doesn’t consist of many parts, each piece has detail and brings something special to the look. I love my polka dot blouse (which you can see styled differently in this outfit post) with the contrasting, heavier texture of my coat – and I want to call it a ‘coatigan’ because it’s not terribly thick, but it’s not quite thin enough to be just a sweater either .. so ‘coatigan’ it is lol you can laugh, but it’s a thing. I promise. of course I am wearing my gigi pip hat – guys, it’s real – I have a love for gigi pip hats. they are incredible quality and are so beautiful. 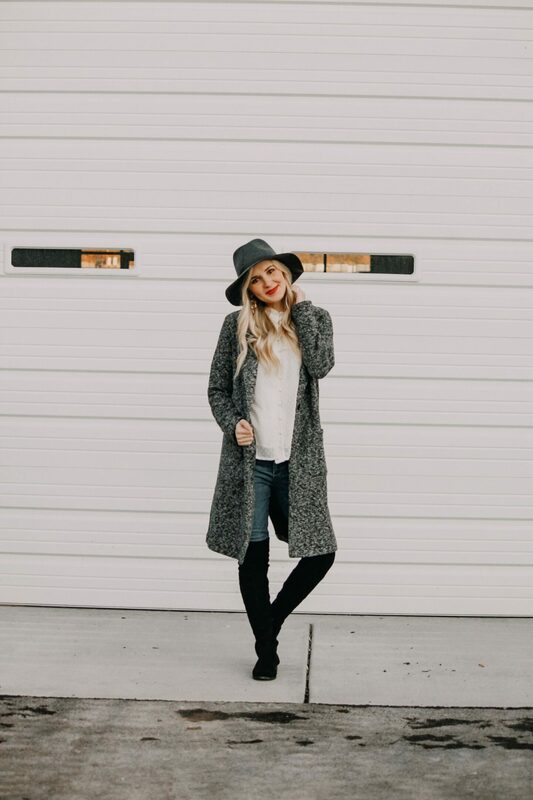 I’ve been in her Salt Lake City storefront and have tried on so many styles, they are pricier than places like Target or Forever 21 BUT so worth it! 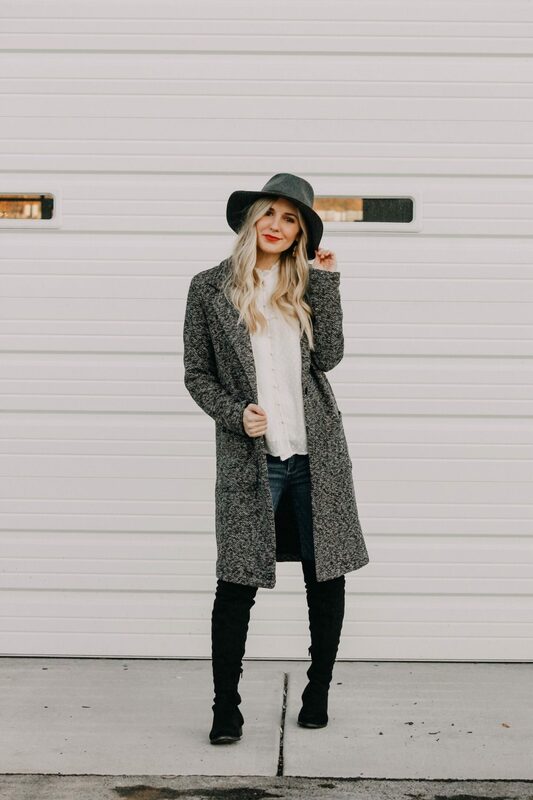 I have not yet found a hat I love more than this one and buying a neutral color allows me to style it in so many outfits and wear it for years to come! see how I styled this hat here and here. I’m telling you, lately I’ve been wearing red lips and I’m really digging it! I think it may become something I do all year round because I just feel so dang sassy and smart when I wear it lol does this happen to anyone else??? 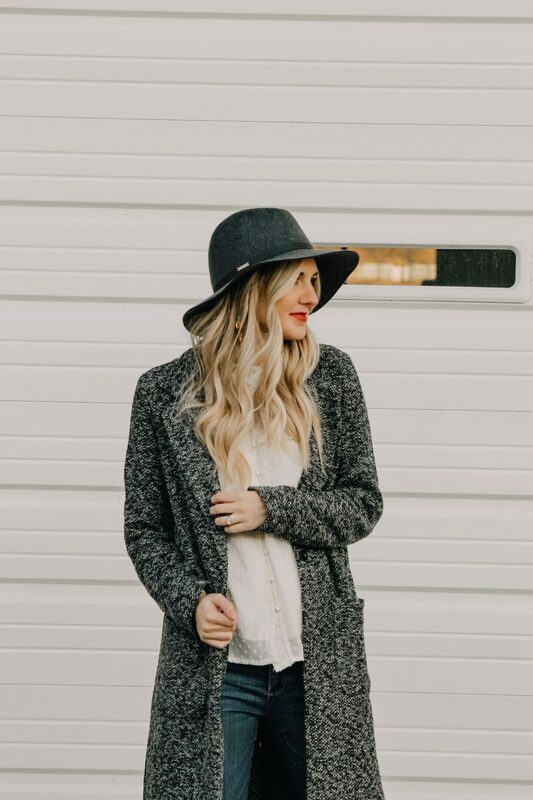 it’s really fun when wearing a neutral outfit, all gray, black and cream to accent with a pop of color! and this red lip in this outfit commands attention! this look would be perfect for going out to see Christmas lights! I have some fun plans to do more service and share more with our neighborhood this season. I’ve worked retail every holiday for 5 years, and had Indie last year (so we didn’t get out much with a newborn) so this year I’m determined to make amazing! I hope you’re having a fantastic week! we are a house full of sickness this week – I’m SO sad about it but I’m soaking up all this time I have with my family and trying to start sweet little holiday traditions with our kiddos. what do you love doing around this time of year??? 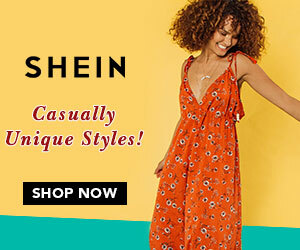 – brown linked here are under $50 and are half off! 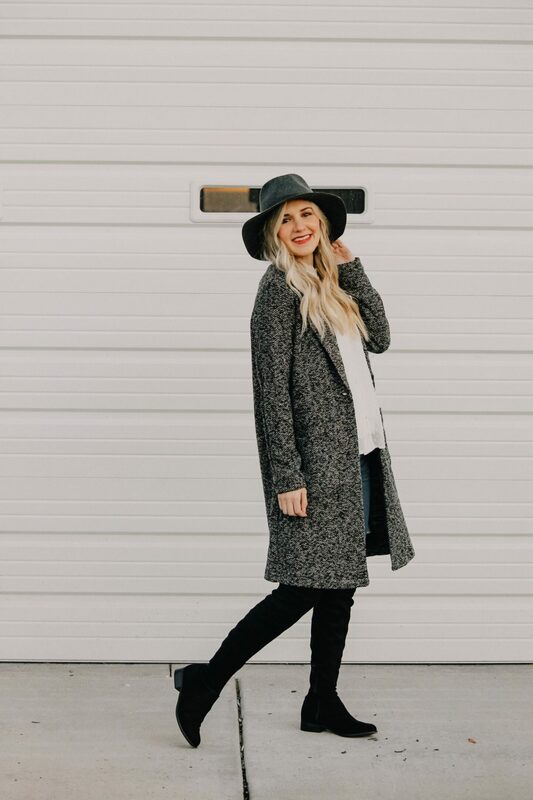 – these cute heeled boots come in over 10 colors and start at just $30! – these are also just $30 and I love the burgundy color!